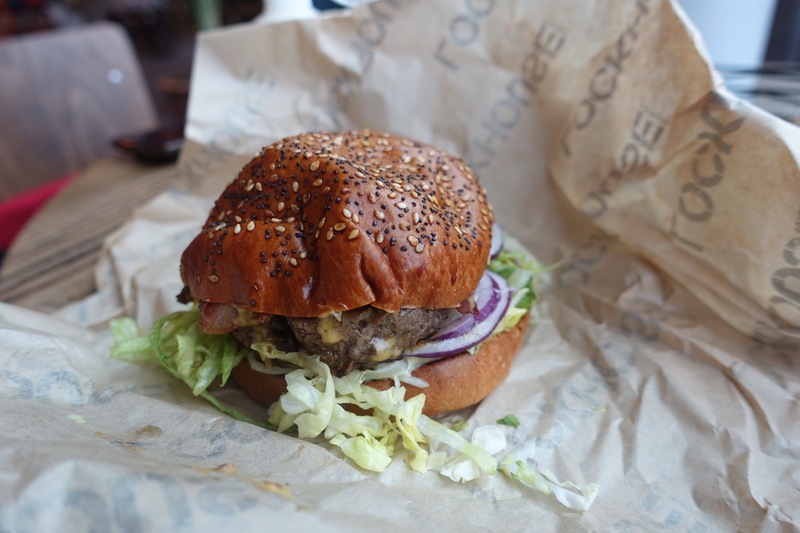 I’ve had the pleasure of eating some outstanding burgers in my life (Bad Egg; Bleecker St). I’ve had some terrible burgers in my life (I’ll leave them nameless here). 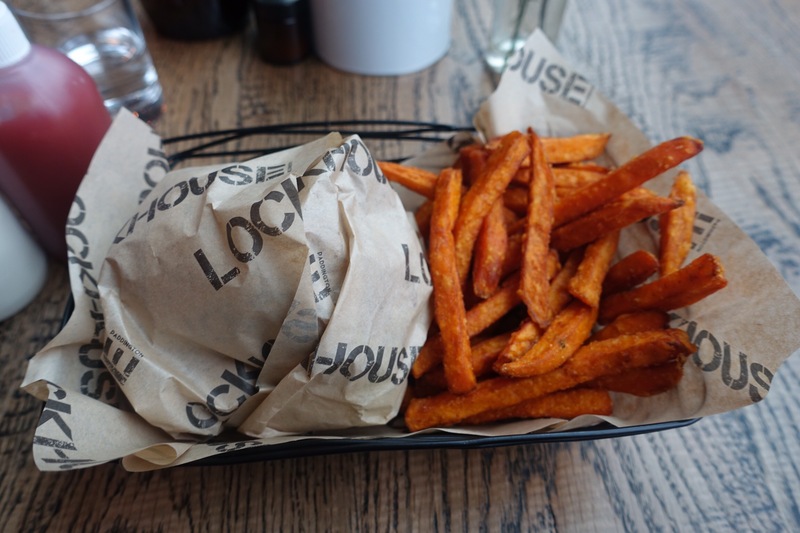 I’ve had some surprising burgers (Almost Famous) but never before have I had such disappointment in a burger as at Lockhouse. I was excited because they had allegedly won the UK National Burger Awards earlier in the week for their ‘Locked and Loaded’ burger in the “Signature Category”. I headed over to Paddington into the midst of a relatively modern looking urban combination of residential and commercial buildings, excited to enjoy something new. 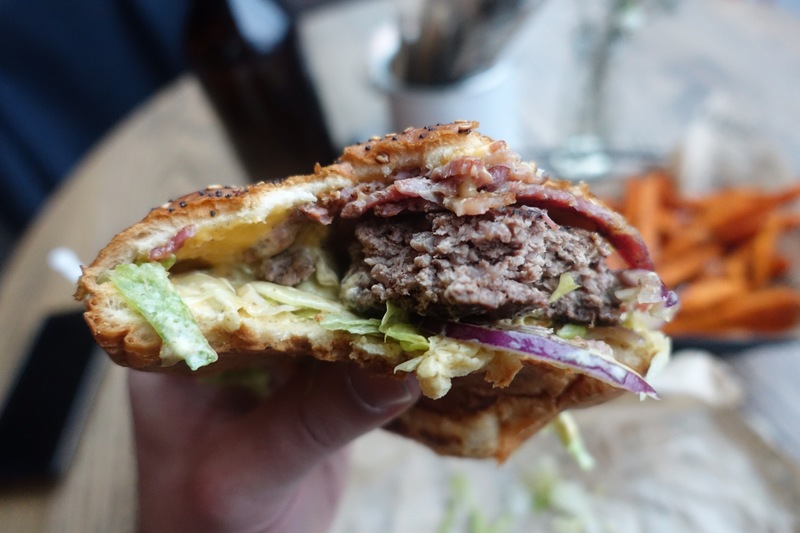 The problem with talking a big game, and claiming that you have just won the UK National Burger Awards, is that people judge you to that standard: your customers expect you to have a damn good burger. I was expecting a good and toasted bun, I was expecting a well balanced mix of toppings, and I was expecting a delicious and juicy patty. I didn’t get that. The venue itself is nice, with a whole lot of recent capital investment to create an industrial appearance with the image of a shipping container, exposed wood and metal. I was here, however, for the burger. The burger is very, very mediocre: delivered wrapped up, but on a metal basket. To unwrap the paper from around the burger you need to remove the whole burger from the basket… which makes the whole basket redundant. After unwrapping, the burger didn’t get much better: the meat was significantly overcooked (if you serve meat that is the same colour as London’s overcast winter sky, you’re doing it wrong) but worse, the patty was a tight ball on only one side of the bun. Much of the bun had no meat, with the patty hiding on a distant edge of the bun. The sauce was fine, strongly reminding me of the Big Mac sauce from McDonald’s (I don’t mean that as an insult: it’s clearly a popular sauce!). 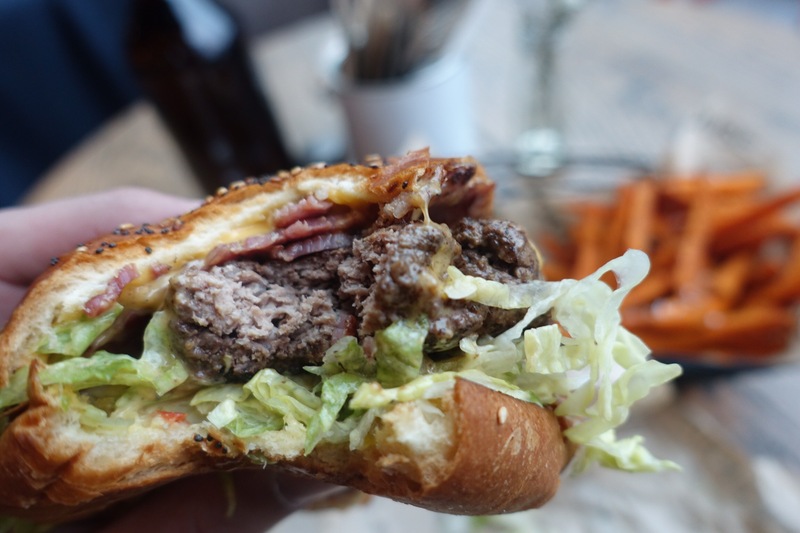 After eating the burger, I checked with the waitress whether I had actually ordered the burger that won the Burger Award: and she said that I hadn’t – after all, she said the restaurant had only been open for three weeks. I went with her to check the sign at the front of the restaurant proclaiming the Burger Award win, and she seemed almost as surprised as I was that this won the UK National Burger Award. Josem Burger Rating: Basic (2 out of 5).